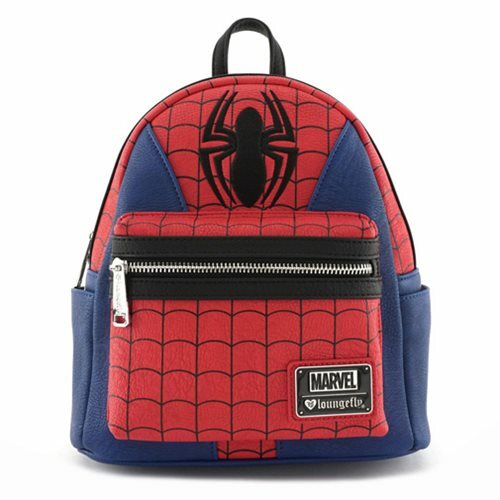 Swing into action with your own faux-leather Spider-Man Suit Mini-Backpack! Measuring about 10 1/2-inches tall x 9-inches wide x 4 1/2-inches long, it features a large spider image, applique details in Spidey's colors, straps, and a handle. Ages 14 and up.